"The best all-in-one SEO platform I've used"
The team at Ahrefs have done an excellent job of building a comprehensive product that includes tons of useful features without succumbing to bloat. Nearly everything that's added to the tool has a use, and it's able to do more for less than most other similar platforms I've used. It's also stable and their customer support has been, in my experience, top notch. The Content Explorer is a nice addition for convenience, but it doesn't come close to replicating what a tool like BuzzSumo can do. Then again, it likely isn't intended to, but it's the one area of the product that feels like it might be a bit tacked on at this point. This isn't so bad though as the feature still offers a useful purpose, it's just that purpose is a little shallow. Give it a trial if you're thinking about switching from something similar. It does a lot more than just check backlinks these days. We're using Ahrefs to drive our entire approach to SEO. It's Keywords Explorer tool is more accurate and does a better job of uncovering related terms and ideas than another platform we were using previously. This has enabled us to better validate our content ideas and improve our keyword research than before, and the benefits have been measurable. "Great tool pricing can increase anytime BE CAREFUL!!!" It's a tool where you can easily do research on competition and get great quality data. The pricing policy. I purchased the tool for 12 months in end of Jan 2018. This included 5000 SERP updates with a standard plan and all of a sudden, Ahref changed this back to 1000 without any warning. Their pricing page wasn't even reflecting this change, and I was informed about that when talking to a support rep. I understand the Company wants to increase pricing based on improved tools, but when you have made a 12 months purchase in advance, you would expect this new pricing to apply by the end of your contract at least... Or potentially to be grandfathered in the old pricing. But No - Ahref will basically apply this very aggressively with no warning at all or heads up. It's sad, in fact very sad as it shows the company is definitely not customer-centric. I perform advanced competitive analysis to help my clients build better content strategy. What SEO solution do you use? "Can't do SEO without it"
The software is very easy to use and understand, it comes packed with lots of features that you may need two or more software suites to do. I find it worth far more than we pay for it. It has payed for itself in a very short time. It allows me to get very granular with my searches and also lets me export a lot of information so that I can make business decisions based on the whole picture. Depending on the plan, you are only allowed up to 100 domain searches a day. If you purchase their top tier plan you only get double of that. Sometimes it can take you several days to do certain types of research. This can start to get a little bothersome as we work with several clients and all of them need to use this software to make sure everyone is getting the best work that we have to offer. The medium pricing tier seems to be the best for most businesses. I work with legal websites and it makes it easy to see what the top law firm websites are using for backlinks. I can then export all the backlinks into an Excel file and decide what are the best ones for me to try and obtain for our clients. The reports section is nice too, it gives us an easy to understand solution for our clients and answers their question of where their money is going to. "AHREFS is awesome for link building"
I've used a couple of SEO software programs over the last 4 years. Moz, Serpstat, SEM Rush and now Ahrefs. Since the bulk of my focus is actually building links, I think Ahrefs has the most reliable results. For example, if you checked the backlink profile of 10-20 websites on Ahrefs and compared to another SEO software provider, I bet that you would average at least 10-15% more results with Ahrefs. That can be a lot more opportunities! Their keyword phrase tracker seems to work pretty quickly and seems to be accurate. I think the price is a bit high compared to some of the other providers. Nearly $200 per month currently and feel there could but better value for the cost. If you are using it for building links mainly, it is probably the best option. Finding link opportunities, tracking positions in search results, analyzing websites. "The best link analysis tool in the game"
Ahrefs boasts the best link database among any system out there. It does most everything -- link monitoring, alerts, calculated metrics, the richest clickstream blend out there, and much more. Its UI is cluttered in a good way and the company has quick and polite support. And Tim Soulo -- the public face of Ahrefs -- has done a ton of good for the SEO community. On-site analysis just doesn't work via a SaaS UI in my point of view. Ahrefs can't yet hold a candle to the rote power and customizability of Screaming Frog or Sitebulb when it comes to drawing metrics from source code. As my consultancy grew, price no longer became an issue with Ahrefs -- but I do understand why many solo practitioners find it steep. The support for technical SEO metrics are nigh non-existent, and there are no "spam score" analyses, which is a big way that competitors still beat Ahrefs. Learn the UI and export tools well. Most of my SEO research starts with Ahrefs. My subscription more than pays itself off every month. "Ahrefs is exactly what our "SEO game" was lacking!" This is my favorite marketing tool! I like Ahrefs because it allows me to track backlinks and keywords for our niche. Since we're creating software, there are quite a few competitors that we have. And thanks to Ahrefs, I'm able to see what the competition is doing which allows us to improve what we are lacking SEO-wise. The biggest downside I think is the inaccurate keyword volume sometimes. Previously, I was only using Google's keyword planner and it gave us more precise volumes. I guess it's easier for Google since it's their own tool and they can give better numbers. This confuses us because in Ahrefs we may see potential in various keywords but in the long run, after our articles are published – the traffic is not what we expect sometimes. Though, it's accurate enough for the most part. If you're okay with the pricing they offer – Ahrefs is the perfect solution for any content creators out there. You are able to step up your SEO game with data on number of backlinks as well as info on that particular site. But before you start using Ahrefs, try out what Google already offers first, maybe it will be enough for you in the beginning. We are getting quality data for keywords, competition and using their backlink checker – we get an idea on what websites link to our competitors and what we should focus on. We use Ahrefs for all of our SEO needs. Biggest benefit I find is that rich data we can get for content creation. It definitely pays off! "Easy-to-use tool for improving SEO"
The dashboard is an easy way to get an overall picture of our ranking, backlinks, and organic traffic. And as a small company looking to drive brand awareness through search, their keyword exploration tools are essential to our SEO strategy. It's also a pretty straightforward tool to use, so can you jump right in and get a lot of benefits straight away. There isn’t always a lot of data on niche keywords, which makes it difficult to optimize for SEO when writing articles for very specific audiences. There are a zillion SEO tools available — we use Ahrefs in conjunction with a couple of other tools. Consider whether Ahrefs satisfies all your SEO needs or if you need to supplement with another tool. Ahrefs is our go-to tool for making our content highly visible, so we can significantly grow our organic traffic and attract the right prospects. "Step Up Your SEO Game x10 with Ahrefs"
From the new Keyword explorer to Rank tracker – Ahrefs is definitely an essential service for our marketing strategy. Our organic traffic depends on our brand and SEO presence. With Ahrefs we were able to track down the backlinks our competitors have and aim into the proper internet space. Here's our situation – we sell software for Mac and Windows. The problem we solve with our software is directed at those who have a pain and search for a solution to this pain on Google. Long story short – SEO is the weapon we use to help our target audience find our products. We've made a big chunk of articles that target particular keywords. In this articles, we provide tutorials on how to solve a particular problem that users were having after they typed it in their search engine. And this is where Ahrefs comes in. We can analyze our competitors and analyze the keywords we already use to get new ideas for articles, including long tail keywords. This results in us getting more traffic, more installs and more sales. One thing I don't like is that Ahrefs sometimes does not provide exact keyword search volume. Instead – it provides approximate numbers which confuses us in cases when we think a keyword should get more traffic that it actually does once the SEO content is published. To get the most up to date and exact numbers, you'd better off use Google's keyword planner. There are a few other options, so it's best if you take a look at other Ahrefs competitors to make sure it fits your exact needs. For us, the price point wasn't always satisfying, but once we saw good results – it made it totally worth it. Ahrefs provides solutions to the problems related with SEO ranking and backlink generation. It's a must-have tool if you are serious about having your content at the top of search results. "Great tool and easy to use"
Ahrefs makes it easy (and kind of addictive) to track the performance of our SEO, content, and site. I love using Content Explorer to build my SEO strategy and using the rank tracker feature to gauge its impact. I'd like to be able to display more than 50 items on one page in the rank tracker section. It's a small thing, but I find it annoying to flip through multiple pages, since it's harder to compare/contrast items. We're using ahrefs to maximize out our SEO potential. Using it, we've seen a ton of progress, in terms of our ability to rank for high-intent terms. "Data-filled and indepth backlink analysis tool"
The index is huge and always has plenty of info, even for smaller, less known sites. There's always backlink info. Shows date gained, dates lost, etc. Shows broken backlinks. Great ability to view gained/lost links for specific periods of time, specific days, etc. Makes it very easy to analyze your sites or your competitors' sites. Nothing really. Very happy with this overall. There's so much info and capabilities that I would say it can be a tad confusing. But they have a great collection of how-to videos that will pretty much solve that! Utilize the "broken backlink" section. Utilize the ability to isolate lost and gained links by date. Let's say you have drops around October. You could go to right before that and specifically isolate good links lost or bad links gained, etc. They also have a good amount of helpful online resources for learning how to use the tool. Great graphs show overall trends for linking domains or linking pages. Check out the ability to sort by AHREFS' quality statistics to help analyze quality/low quality links. Ability to analyze competitor backlinks. Ability to analyze your site's backlinks. I've realized the benefit of finding broken backlinks to handle those and re-capture those links. "One of the best SEO tools I've ever used"
Detailed breakdown of all our key SEO metrics and performance history. It's very easy to compare our performance against competitors, and identify new opportunities to improve. The "link intersect" tool is amazing! You can easily see who's linking to your competitors and not your site, and work through the report list to build your presence on those domains. Not much to complain about. In the future, it would be great to have more recommendations based on performance. Like any SaaS product, you have to use it to get value. I'm on the platform at least five times a day! Explore all their tools to find which ones provide the best insight to help you reach your goals. SEO - improving search rankings, building backlinks, optimizing meta details. Ahrefs helped us reach a 1st page search ranking for a new product target keyword within two months of launch. "Best SEO Tool For Research Keyword, Make Backlinks & See Organic Keywords Traffic"
After auditing your site this tool gives you suggestions where your site needs changes. It gives full details about how many external backlinks your website has and you can make more backlinks by see your competitor site backlinks details. This tool also helps to find which keywords are helpful for our website & which keywords give organic traffic. There is nothing to dislike about this tool, only 1 thing I dislike about this tool is this tool takes time to analyze the full site. I recommend using this tool for SEO, It is a no 1 tool if you are doing SEO. If you are doing SEO without using any tool then it is very good but it takes more time and you cannot find accurate data to analyze what doing next with your site. So without wasting any time, this tool helps you to find the right keywords and give you better suggestions for your site and increase your Traffic value. On page and OFF page SEO I like to use this SEO tool. This tool helps to find our competitor backlinks and his traffic source. Not Only this you can also analyze that what organic keywords your competitor rank. If you are new to SEO then this tool is very helpful for you this tool suggest you what improvement need on your site. This tool is a good source for finding keywords. By using this tool you can see your competitor keywords and add some additional keywords that you research using this tool and boost up your site within 2 to 3 months easily. "Great complement to Google Analytics"
I love how easy this product is to use. You can easily check out competitive sites and get quite a bit of info on what they're doing and even where they're spending money. I like their UR and DR ratings and check them monthly for a handful of sites. Even though we're on a paid package, we have to 'upgrade' to see things like links 20-39 of our top link backs. We're paying around $100/month, I think, so only showing us a section of data, for that price, is not cool. We want to monitor our competitors and figure out which sites and pages are linking back to us and which ones are helping us, and hurting us. "My Go To Tool for SEO"
There are a lot of SEO tools out there and many of them are exceptionally competitive but AHrefs is always my go-to tool when I'm not using more than one. One of the things that AHrefs is best at is helping with a content marketing strategy. Though it's best known as a backlink index (which it's great at and I'll get into that), coming up with good content ideas is one of the things I get the most use out of it with using the content explorer. I find articles that do well for the topics I want to target and it's clear what already resonates with your audience which is powerful. The backlink index is one of the best too though at the time of writing, Moz has just improved their index. Regardless of index size, which theirs is large enough, the type of data they provide is the most useful. The broken links data is probably the most useful that isn't easily matched by other tools. Additionally, going back to the content explorer, you can find unlinked mentions, a feature that appears to have been removed in Moz's "new" tool (I may just not be able to find it). The rest of the tools are generally matched by other competitors to some degree though, in general, AHrefs understands what you intend to do with that data and presents the most useful information first. The only feature that seems to "lag" compared to it's competitors is their site audit tool. This only launched a few months ago but in my experience experimenting with this tool, it's not the most effective. I'm the biggest AHref's proponent in my agency, we do use the other tools but the biggest benefit that we get is more accurate data to cross-reference with other SEO tools. "Best backlink tracker software on the market!" It is the best backlink analyzer tool on the market. You can track your backlik profile, check our your competitors, and also get email links when you or your competitor gets links. Also when rankings drop or improve you can get email updates too. A must have for for every SEO expert. The reports are not beautified as other tools. This is more of a no bells and whistle tool, but provide great data points. Add another layer with a dashboard for rank tracking, so this could be the one and only software fro SEO strategists, or even in house SEO teams. Gaining a competitive landscape of the search market for companies. It helps dig deeper when building strategies than just doing SEO blindly. "Best All Around SEO Tool"
Of the three popular backlink reporting tools (Majestic, Moz, Ahrefs), Ahrefs provides the most useful link data. Even in other areas of SEO, Ahrefs seems to always keep their toolsets fresh. They continually add in useful tools and features that make other software suites less relevant. The most recent addition is their site audit tool which provides a beautiful visualization of technical site issues. The tool I like best within Ahrefs is the content explorer. It provides quick analysis of relevant and popular content for your topic of choice. I primarily use it to determine what kind of content will perform well in social and SEO. When I had their lite plan, I ran into the problem of having to spread SEO research over a few days because of the daily limits. It would have been useful to have an aggregate monthly limit since I don't do SEO research more than once per month. This was easily solved by upgrading to a higher plan. Ahrefs updates and adds to their arsenal of tools constantly. I recommend them to anyone who is looking for an alternative "all in one" SEO toolset if enterprise tools become too costly for their organization. Ahrefs paired with ScreamingFrog and a few other tools provides for most of the data that SEO needs to do a great job. Switching to smaller but more focused tools like these has allowed us to save on costs for enterprise tools. "Makes competitor research a breeze"
Their site explorer feature is just amazing for competitor research. Doesn't matter if it's a page or the entire domain, you just put the URL and it gives you their organic keywords and backlinks in a jiffy. Their content explorer is also one fine feature for content/influencer research. The filters to refine the results come in really handy. There's nothing really to dislike but I think their keyword explorer can get a bit better if it can provide some more keyword ideas based on a seed keyword. Getting started with keyword research and backlinking gets difficult for agencies since our clients belong to various industries/domains. Ahrefs has helped us in kickstarting these two things for any client as soon as they sign up. "A Must-Have Tool for Everyone Who Wants to Up Their SEO Game to the Next Level"
The platform has a ton of valuable information and it's relatively easy to use once you get familiar with it. It's not a cheap product but I guess that is valid for all SEO tools, not just Ahrefs. We use Ahrefs for competitive research, keyword research, link-building and tracking our SEO improvement over time. We've been using the product since November 2018 and so far we grew our monthly organic traffic by 84% (from 25,524 in Sept 2018 to 47,011 in the last 30 days - Jan-Feb 2019). "Fantastic tool--getting better and better"
I've always liked Ahrefs and have always found it sufficient for my work. But lately the Ahrefs team has been amping up the functionalities--from internal linking to page-by-page performance reports, you really have access to it all here. Quintessential product for any practicing SEO. Not much - it's superior to all other competing tools by far. If you have multiple people in your team, definitely consider upgrading to a multi-person package. This is a diagnostic tool--it's about identifying gaps, backlink shortages, and other factors. "Great tool for SEO research!" I love how easy it is to use Ahrefs to track our backlinks, referrals and those of our competitors' websites. I used this tool for link building to boost our search engine optimization and found it incredibly useful - allowing me to see which sites were linking to our competitors and then approaching those sites to links for our website. I wish that more features were available with the free version. There is very little your can do without upgrading to a paid service, and the fees are fairly high. Be sure to review the paid plans to determine whether you need to upgrade from the free version. If you're doing very simple SEO research, the free version may be sufficient. We are using Ahrefs primarily for link building and search engine optimization research. The site has allowed us to review the backlinks and referrals that our competitors get, which has informed our own link building work. "SEO metrics for serious professionals"
BACKLINKS--Ahrefs is the king of backlinks. KEYWORDS--Ahrefs has a great sense of related keywords. I find it more helpful than the same feature in Moz. RANKINGS--Ahrefs excels at this, too. This is honestly very difficult to answer. One thing that comes to mind--I've had difficulty figuring out where in the interface to manage my email preferences. Give yourself some time to learn the interface if you're new to it. It's more analytical and detailed than Moz. Also, make sure you continue to learn and educate yourself on SEO concepts generally as you learn the software. The more you know, the more the interface will make sense. Ahrefs allows us to stay on top of our rankings. It also helps us to discover new opportunities and spot issues immediately through a weekly review of Ahrefs. It helps us track our backlink profile. It also helps us spy on our competitors from an SEO perspective. High value all around. "How Ahrefs helped me tracked my backlinks and helped me know what my competitors are doing"
The thing that I liked the best about Ahrefs is that it contains a huge database of backlinks when I've checked my own website and my competitor's websites. This has allowed me to dig deeper and find out their exact linkbuilding and SEO strategies. Ahref contains a lot of tools and features that will make the life of an SEO professional or webmaster who wants more search engine traffic a lot easier. One of these features is the batch analysis feature. Basically, instead of entering your competitor's backlinks one at a time you could actually enter it once. This allows you to quickly check on the SEO metrics for a lot of competitor URLs in just one click. What I disliked about Ahrefs is that it takes a little bit of time to learn and use. There's a fairly good amount of learning curve for using Ahrefs. You'll also need to understand what each of the metrics meant in order for you to analyze these metrics properly. Ahrefs is one of the most powerful backlink checking tools to date. It's definitely a worthy arsenal in your internet marketing toolset. As a professional blogger, I've always struggled with getting more traffic to my own websites and the websites that I handle. And one of the strategies that I routinely use is search engine optimization. SEO or Search engine optimization involves a lot of things. While On Page SEO is mostly done on the website, the OFF Page stuff is mostly done outside of your website. Ahrefs has helped me do a lot of the Off page stuff like analyzing what are my competitor's SEO strategies, what are their backlinks, where are they getting them. I've also used Ahrefs to find out my competitor's content strategy because I could easily check what are the content and pages that are getting the most shares and backlinks on their website. "Swiss army knife for SEO specialist"
- PPC. Provides PPC ads texts, keywords of your campaigns and your competitors. Also you can unhide list of the most valuable landings of your competitors. - Organic keywords and movements. It's easy to track how your website gets new organic keywords and track how you strategy effects on rankings. Also you can track the same way your competitors. - Pages. You can understand what pages on your or your competitor website are most valuable and have link growth. - Keywords explorer. Great tool to create semantics core. You can choose one or two basic keywords and get hundreds of keywords ideas and similar keywords and also get their frequency. - Price. It's very limited in basic functionality. We use this tool to analyze how our SEO strategies work with our projects. Also we track competitor's backlinks, PPC campaign and get semantics from them, also it's great to have history of competitors growth. Also Ahrefs has great tool Keyword Explorer to create semantics core for new projects. "I have yet to see anything better than Ahrefs"
What I like best about Ahrefs is that they have several different tools that are must-haves for SEOs, all in one place. If you need to do keyword research, they have it right there. If you need to do backlink analysis, it's right there too. Having everything together is a lifesaver. I think that their price is a little high, and even though they have a lot of features, not everybody uses them. I really wish they would offer their keyword research tool as a standalone service for a reduced price. Take some time and familiarize yourself with all that they offer - there's a lot of stuff. I'm improving my website's SEO. I'm also getting some content ideas from their research tools. Plus, I have their alerts set up to let me know whenever my name is mentioned throughout the web. It's like Google Alerts, but much more thorough. "Best Tool for Content Teams"
This website has made robust articles so much more plausible for me and my team. We use ahrefs to find topic ideas, topics our competitors are writing about, phrases we should be using in our articles and so much more. There are a lot of clicks to get the information I'm looking for and it takes a while to load sometimes. So it's buried, but at least it's all there. They're always making updates, adding more tools and generally improving the product. Definitely worth investing in this tool if your content team or SEO team wants an advantage over the competition. Our articles were based on our interpretation of customer interest. Ahrefs gave us better insight into our customers' needs and is helping us rank better online! "I feel like I'm cheating, but I really am falling in love...."
Keyword Explorer.... there is nothing wrong with it, I just find the Moz Keyword Explorer (despite having a smaller database) to be easier and faster to use. Otherwise, I really don't have any complaints! SEO! No seriously--that is all I personally do and being able to use Ahrefs to track keyword rankings, research sites/competitors and now audit sites not only saves me time but helps me to complete my job at a higher level! "Best Tool To Improve Your Organic Search Rankings & Traffic"
1. Getting instant access to the competitor's data on a broad level. Good tool to kick start with your inbound marketing campaigns. Mainly using Ahrefs to improve our inbound marketing efforts. Helping us in competitive analysis. We have been able to take decision on the basis Ahrefs data to increase our overall organic traffic and ranking. "The Most Exhaustive Keyword Research Tool "
Keyword explorer, which was released few weeks back is one of the most exhaustive tools that we have see off late. Keyword Ideas, Phrase Match and KD help content marketers to align their content marketing efforts with organic search trends. Apart from that from an on page point of view, the tool gives everything that modern age webmaster need to track their overall performance. The Ahref rank seems like an abstract concept. The tool itself was under development for quiet some time and that was exactly when we had purchased it as well. Some of the metrics like KD are available basis cache only and not updated frequently. We use Ahrefs heavily for our content planning and marketing activities. Ahrefs also supports multiple languages ensuring that marketers can also plan their localization efforts and create their strategy for international SEO. "The Insights We Need to Out-Link the Competition"
We love the Intersecting Link Opportunity report, which helps us plan our link-earning strategy based on the semantic Web and relevancy. There really isn't a better way of finding industry websites to market with that could result in organic link wins. Our team has been using Ahrefs for as long as we can remember, mainly because it offers a higher volume of discovered links when weighed against similar tools. We also really enjoy New and Lost link insights, which allow us to monitor negative SEO behavior and see what the competition is up to in near-real-time. The Intersecting Link Opportunity report we love could offer an automatic version that takes into account the top 20 listings for a given keyword phrase, saving the researcher copy/paste time and having to run multiple requests. Their Most Popular Content list is definitely helpful, but doesn't give us the semantic relevancy we get from the intersecting report. Highlighting unlinked domains is fantastic, but completely useless without the ability to export and exclude highlighted opportunities. They really need to fix that. You won't find a better a better link research tool than Ahrefs. It complements Buzzstream and other link building CRM software extremely well. Google cares about Content first and Links second when it comes to how it ranks a page within it's results. This tool allows us to see where competing domains are earning links and insights into the specific content that attracts links for the competition. This insights assist us in creating an actionable strategy for our clients using a CRM such as Buzzstream to import data into. "High quality keyword data and analysis"
We recently switched over to Ahrefs from Moz. Perhaps the greatest (and my favorite) aspect of Ahrefs is with the Link Intersect tool, which lets you compare backlink profiles of your websites with other competitors, to see where they have been getting backlinks. In addition, their tools for collecting keyword data are top quality as well. While not an absolutely necessary feature, Ahrefs does not have an on-page grader tool like Moz. This is a tool I would recommend for more advanced SEO practitioners who are comfortable sorting through a lot of data. Discovering competitive backlink opportunities has been a great boon to help our clients strengthen their overall SEO. The tool has everything. Rank tracking, site audit, link research etc. And all the tools inside ahrefs are really powerful unlike ahrefs' competitors which add new tools for new tools sake. I particularly like the backlink research feature as ahrefs lets you slice and dice the data in many ways. I don't the limits they have placed. They should increase the limits a bit. The number one problem It solves is finding backlink opportunities for my clients which is vital to any SEO campaign. "Easy to use and informative "
The perfect tool for checking your own and your competitors' site rankings and analyse your keyword strategy. Very understandable and easy to use. We would recommend Ahrefs for anyone who wants to monitor how their site is doing on search rankings and which keywords are performing the best. You can also get some great content ideas for your blog! The logic behind traffic value and DR ratings is difficult to understand. We are improving our on-page SEO strategy. "Most advanced SEO tool on the market"
Ahrefs accuracy is amazing. It is incredible how much data you can pull from other websites. My team and I use Ahrefs all the time to ensure our content is primed for Google rankings and traffic. Without it, we'd be lost in what content we should write and what keywords we should target. But I'd also go as far to say that we are constantly learning new things about Ahrefs and what it can do. So much to this tool, it is absolutely incredible. I'm also a really big fan of their blog. They've got some incredible information there and worth checking out. While Ahrefs can do a LOT, their tutorials and training on how to use it is lacking. I wish they'd have a full free course on everything Ahrefs can do. This would have helped my team do a much better job from the beginning and become more comfortable with it as well. Take the time to figure out everything Ahrefs can do. You'd be surprised with how much they offer. Ahrefs helps us to figure out what keywords to target, what content to write and what backlinks to go after so that we can beat our competitors, raise our rankings on Google and dominate our industry. Thanks to Ahrefs we now get over 100K visitors per month and were able to do that in just over a year. "Nothing comes close for backlink work." The library and crawl index for Ahrefs is unparalleled. If you need to know competitive landscape and build backlinks, there is not another player in this space. moz, etc doesn't come anywhere close. they do alright in other factors, but purely from a research and backlink profile perspective Ahrefs is the leader without competition. Comparison features and backlink tracking are indispensable. Good to help with estimation of traffic on potential client's websites. You can go to the table in a client meeting better prepared. This along with SEO powersuite makes a good package. They know they can charge a hefty fee, so they do. If I could do without their service, I would, but nothing that "competes" with this can come close to the depth of information. do the trial, along with several other trials. You can definitively rule out 90% of these softwares/interfaces if they are side by side with Ahrefs. I believe Ahrefs will rise to the top when placed alongside the others. need for competitor research; finding opportunities for backlinks; tracking campaigns and seeing long-term value associated with the work we are doing on SEO. "Great tool for analyzing competitors"
It can do a lot of things starting from keyword research and up to the content promotion. I think one of the best things about Ahfers is that you get everything related to your competitors and backlinks analysis. Ahfers is also one of the most user-friendly tools. It has got everything that every digital marketer need. I mostly use it to referring domains, and rankings and to monitor backlinks. Doing keyword research is accurate and fast. Their keyword explorer tool is a gem. Also, there are plenty of tools out there. Ahrefs constantly updates and the team keeps on adding new features, so it keeps users engaged. I never had any issues with Ahrefs whatsoever. I wouldn't say that it's great for any SEO beginner because you need a basic understanding of SEO and also online marketing, so you'll be able to get the most out of Ahrefs. Also, the only thing I don't like about Ahrefs is that they didn't give you any Free trial, while some of the other similar tools will give you few searches but Ahrefs won't give you anything for free NOT, even a single one search. Therefore, it is very expensive, especially if you want to have access to all the features. And it's a real pain because it is such a perfect tool for SEO agencies and marketers. It is one of the tools that I am using on my regular daily basis. I really can't have a day without Ahrefs. It makes my competitor's analysis work very easy and it helps me find the best links from my competitors. It's an SEO agency's best friend. 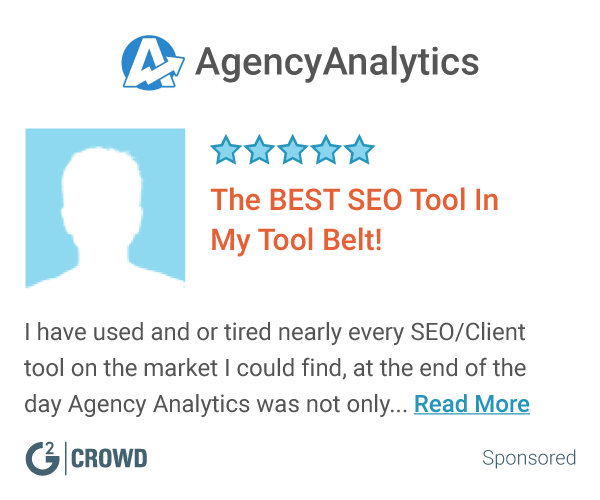 "Best tool to Linkbuilding and Competitor Analysis"
In the agency we used SearchMetrics to analyze Off-Site data but it didn't throw us any relevant data. With AHREFs we were not only able to analyze the sites of the clients but also the sites of their competitors. With the tool we were able to extract concrete data from links and organic traffic. "A powerful and all-in-one content marketing and SERP tracking tool"
There is so much to like. Ahrefs is the best backlink management and monitoring tool I've ever used. It finds more backlinks quicker than any other backlink tracking tool, as well as a great option to attack and monitor competitors backlinks. Backlink acquisition is also made easy by Ahrefs content explorer that makes tools like BuzzSumo of no use to me. I can monitoring new brand mentions, mentions of competitors, and new content with a specific keyword. It's keyword tracking is amazing, as well as the SERP management and monitoring. You get a great view of the entire site, subdomains and even specific URLs. Content marketers also no longer need to use Adwords for their keyword planning! Ahrefs has a great keyword planning system that is super helpful to come up with new ideas for content. Like all backlink monitors, it doesn't pick up anywhere near all backlinks and is slow to pick up new backlinks. However, all backlink tools have this same problem and Ahrefs is the best of those tools. One of my biggest gripes is that Ahrefs drops backlinks and count them as a lost domain, but after looking into the dropped campaigns you find that a majority of them are still there and Ahrefs dropped them from your backlink profile for an unknown reason. I monitor a ton of keywords, so the rank tracker tool is kind of a cluttered, useless too for me. The first few days may have a tough learning curve, but don't give up! Explore all the different features of the tool. Backlink monitoring and building, keyword planning, SERP management and monitoring. "Search marketing multitool, good depth of index, regularly adds new features"
It finds more links than similar tools, and provides tools to help explore them. Provides access to deep information on competitor sites. Regularly adds new features to help marketers explore their link profile; one example being separating out "Live" and "Fresh" index so you can find recent but non current links. A little expensive. Support responses can be slow. Interface can be rather confusing although they recently improved it a lot (see above re: regular updates). I couldn't get the Chrome Extension to work in any of my installations of Chrome, so I still use competitor toolbars in my browser. You can't ever change your login email address thanks to the billing system, so choose carefully. Prepare to spend your life spelling it to finance / procurement, etc, or debating its pronunciation with colleagues. And you will find helpful how-to videos not only from Ahrefs' YouTube channel, but also third parties such as Authority Hacker. Provides a way to track the effect of link building activity and demonstrate the impact on search traffic. Excellent for competitor analysis. Helps with researching what content to produce, which competitors are gaining in search and why, which keywords your site could realistically aim to rank for, and gives you enough information to plan how to do it. "Most powerful SEO tool "
Ahrefs data turned SEO game to the next level. Using content explorer you can find a lot of fresh data and useful content. Backlink tracker work almost perfectly. Beside tool which is better from day to day, is you are new in this game Ahrefs team shares very useful information on their blog and Facebook group. Well done! Recently they announce new rank tracker limitations, but this is not crucial. In depth backlink analysis, finding new and qualified prospects. "The tool that stole the show among SEO tools." I like how Ahrefs keeps improving fast and seem to be truly adamant about being THE tool for SEO. I dislike that keyword positions still aren't as precise as SEMRush reports them, but that could for whatever reason be only my experience. Sign up for the free 14-day trial and test if it covers your needs. We have solved the need of buying 2-4 separate SEO tools and switched to Ahrefs for almost all of the projects our agency is currently running. The clients like it too, as the UI is simpler than most others. My favorite feature of Ahrefs is the keywords explorer section. I use this constantly when trying to rank pages/products higher and general optimization. It is also nice to see how we compare to competitors in Ahrefs rank, backlinks, and keyword rank. I think they could add a couple other sections to the keywords explorer tab, or have better explanations for how they have that part sorted for easier use. I would definitely recommend Ahrefs to any company looking to rank their site/products higher. Any marketing professional understands keywords affect rank and rank is everything. If a customer is unable to find your site/products they won't ever use your business. The amount of data that Ahrefs provides is staggering. There's more information I am able to get out of it than I will ever be able to use. I dislike that it's so complex that it's intimidating. However, it is the easiest to use out of all the SEO tools I've used. Take the time to read through their vast amounts of case studies and blog posts. So useful! Getting a snapshot of my websites search ranking and performance. The benefits are that I'm able to see where I'm winning and where I'm falling short. 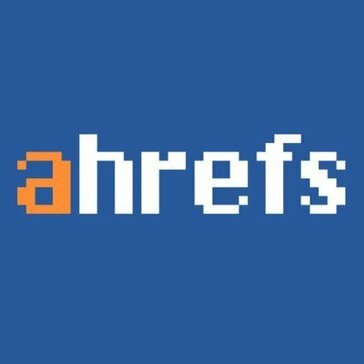 "Wouldn't be able to do SEO without Ahrefs"
I love Ahref's backlink archive. I honestly think it's the best and most accurate in the business at giving you the backlink profile of a website. Yes, better than Moz and SEMRush. I dislike the UR and DR metrics for I sometimes feel like they aren't accurate. I have yet to see very much consistency from these 2 metrics. Really take advantage of this tool for its backlink data, and its ability to analyze the content's performance of a website in the Top Pages section. Ahrefs provides tremendous opportunity to help you in your quest to acquire backlinks, whether it may be for yourself or for a client website. It helps by telling you who, when, and where all the backlinks are coming from on almost any given website. "I don’t know how anyone in digital marketing does it without Ahrefs"
The features of Ahrefs are practically endless. It’s one of the few softwares I truly use each and everyday and it’s so incredibly easy to use. One of the best features I use is the backlink profile. I always see who my competitors are linking too and what is a popular topic to discuss. "Once an industry leader, now using backhand techniques to rip off loyal users." Their search data and models are super accurate for identifying real world consequences of link building. Very high accuracy on a number of terms. They've gutted their rank tracking system. Legacy customers who have been with the company for years were reduced from updates every day to updates every FIVE days. Unusable anymore. I may completely leave their platform and I will never recommend the service to anyone. Look to SEMrush or Moz.com. Ahrefs has become low quality. We WERE previously using ranktracking and analysis tools to effectively measure campaigns and identifying which experiments were working and not, but the platform is now useless for this. "Ahrefs quickly replaced Moz and Open Site Explorer"
What can you say about a tool that so intuitively reaches into the depths of the internet to show you every link, every share, and every tweet pointing to the site you are researching. I always joke that you can't hide something from an SEO and it's these tools that make that possible. Can't say enough nice things about Ahrefs, it quickly became our one stop tool. I wish when you went to the Ahrefs homepage that it let you do the Site Explorer thing instead of trying to get you to setup one of their campaigns, I usually just want to glance at the data quickly, and having to click over to explorer is just one extra step - that is a nitpick, but it's something I deal with on every use. Just get it - it's a slam dunk, it's easy and you'll have more data than you'll ever use. It gives us access to the data we need to quickly figure out how much competition a competitor has for our clients, and compare that to find out how much work we'll have to do and how much time we'll have to spend on the clients site/backlinks. "A completely necessary tool for an SEO professional"
The Domain Health overview is fantastic for finding out if a website has toxic links in its profile. Ahrefs also has many features that go well beyond just links -- a list of critical issues such as missing or duplicate meta tags, broken internal links, and broken back links. There's seriously not much to dislike, but the rank tracking functionality is pretty decent -- I like the fact that it has keyword suggestions with search volume and traffic, however, once you try to add the keywords to the tracker, I had it error out a couple of times and had to re-do my selections. Use it for at least three months. It takes continual use to discovering the best features the product has to offer. Ahrefs is one of the first tools I use to asses a new or potential client. If they have low-quality back links, this tool with tell me. I can then schedule link detox as one of the first parts of the strategy. It's hard to pinpoint one specific thing that I like about Ahrefs. I mean not only does the product do a deep dive into everything SEO, but the blog is one of the most educational blogs out there. It's not cheap, and the amount of features of the cheapest level is pretty restricted. The real power of the platform opened up to me when I upgraded and got more features. As a newbie to SEO, Ahrefs can not only help you, but also educate you. Do consider getting more than just the cheapest plan, as it gives you access to much more features that a lot of your competitors may forget. Everything SEO. Ahrefs tells us what keywords we rank for, where they rank, and a huge amount of information about backlinks and referring domains. It's helped us grow organic traffic and create the content funnel that turns into sales. "The best link building tool in the market"
Ahrefs is the best link building tool in the market. I really like it. I have tested many tools but none gets closer to the amount of accurate data Ahrefs provides. Their system is really quick to pick new links gained as well as links from 301 redirects. Combining Ahrefs data with Google Webmasters Tools is the best way to do a proper link audit. The way they present the data is easy to digest and the most important part; you can export pretty much anything from it. Besides the links, Ahrefs also provide useful information about the social media presence. Sometimes Ahrefs does not show new links right away. It is a very good link audit tool. Probably the best. Ahrefs is the main tool I use for link audit for my clients. It gives all the information I need to make a decision if I should drop a link and also if I should make a move and try to get one of the competitors links. "Must have tool for Digital Marketers"
Backlinks tools. We can get thousands of backlinks to your project or other projects. Their pricing is a little higher than the competitors but you can definitely get what you pay for. This tool can do everything you need to checkout your situation with SEO and PPC for your project and also give an analysis for competitor's projects. * We monitor all Ahrefs reviews to prevent fraudulent reviews and keep review quality high. We do not post reviews by company employees or direct competitors. Validated reviews require the user to submit a screenshot of the product containing their user ID, in order to verify a user is an actual user of the product. Hi there! Are you looking to implement a solution like Ahrefs?